Mahomet, Ill. – On Saturday, February 24th, the brave friends and fans of Special Olympics Illinois Region I will #PlungeWith courage into the freezing waters of the Lake of the Woods in Mahomet as part of the annual Law Enforcement Torch Run Polar Plunge. In the next couple of weeks, Polar Plungers will complete their final push to gather the minimum $100 in donations and start preparations of costume planning in excited anticipation, with some hints of anxiety, of Plunge Day. For one Mahomet family, this year’s Polar Plunge is a testament to their bravery, their courage to heal, and their devotion to all Special Olympics Illinois athletes, including their beloved Madeleine. 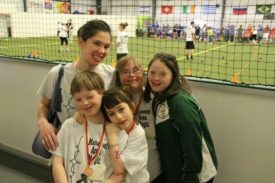 If you live in and around Mahomet but are not aware, the Mahomet Area Magic is the local Special Olympics team that Madeleine McNulty joined in the fall of 2015 to learn, train, and compete in the sports of gymnastics, bocce ball, bowling, and track & field. 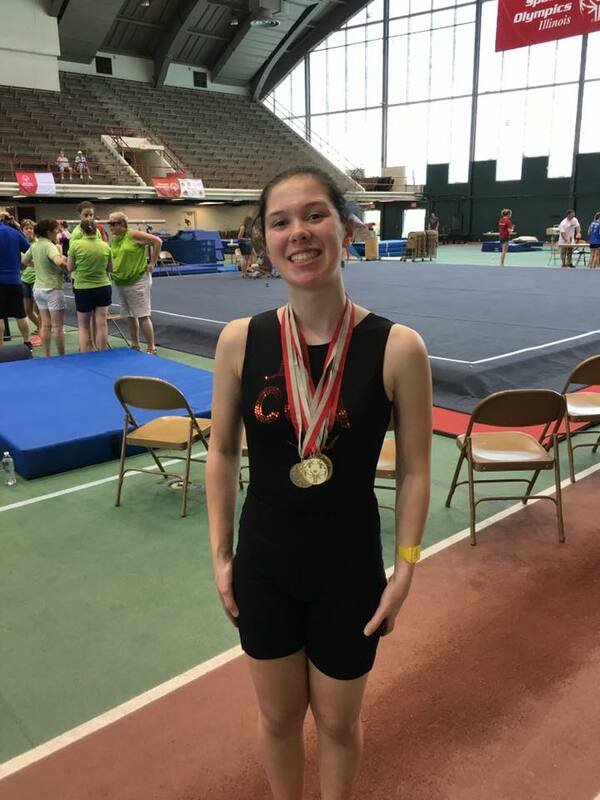 Madeleine quickly proved herself to be an outstanding gymnast, having earned 4 Gold Medals and a Silver Medal at the 2016 Special Olympics Illinois State Gymnastics Competition. She was set to compete in the State Gymnastics Qualifier in March 2017, yet sadly, angels like Madeleine, get called back to heaven, much sooner than anyone could have imagined. Madeleine Claire McNulty was born March 28th, 2000, and within just months of her birth, was diagnosed with complicated epilepsy which leads to speech/language deficits, social impasses, and mild cognitive delays. Despite this terrifying condition, Madeleine was able to adjust to living in Paris and the United States with her family, make friends, attend school, and compete in sports. Tragically, on February 25th, 2017, at the young age of 16, Madeleine passed away as a result of epilepsy. 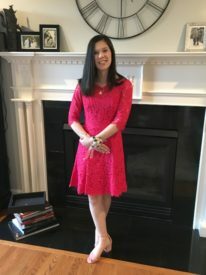 Madeleine’s mother, Dawn McNulty, courageously stated, “Though epilepsy had her life, and ultimately took it, Madeleine never let epilepsy – or any of her challenges – have her. She is remembered by family and friends as positive, complimentary, and fun-loving. She had the most contagious smile and laughter. And though Madeleine enjoyed all of her Special Olympic sports, dance was her passion and she was the #1 fan of the Mahomet-Seymour High School Varsity Competitive Dance team”. Thus, at this year’s Mahomet Polar Plunge, in honor of their #1 fan and marking the one-year anniversary of Madeleine’s passing, members of the Mahomet-Seymour High School Dance team, including Madeleine’s younger sister Caitlin, will be volunteering to help run the event. While brave athletes, like Madeleine, and their families, friends, and supporters take an icy leap into the frigid water to support Special Olympics Illinois, the MSHS Dance team will serve various volunteer positions essential to the success of the Plunge. Despite the difficult transition of a year’s passing without Madeleine, the courageousness of the Polar Plungers and volunteers at the Mahomet Polar Plunge is inspiring, not unlike the Special Olympics Athletes, they are supporting. #PlungeWith courage or volunteer at the Lake of the Woods in Mahomet on February 24th to help Special Olympics Illinois unleash the human spirit through the transformative power of joy of sport, the joy of friendships, and S.O. limitless opportunities.